So, when after 12 years of efforts, the first Isha Yoga Centre in Europe was established in November 2017, it was met with tremendous joy. 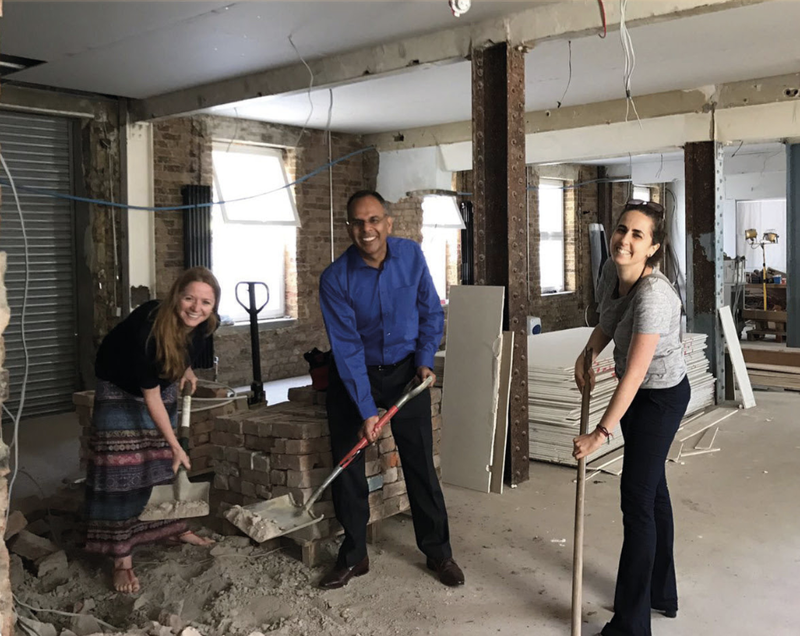 Tucked away in a serene location in the heart of London, an industrial floor was reshaped using warm earth-coloured brick walls to create a welcoming and loving atmosphere - exuding a feeling of all-inclusiveness. Though it had humble beginnings - only a couple of tables and no central heating - the willingness of the volunteers had enough fire in it to get things warmed up, and now running beautifully. There has been a spectacular transition from offering just 3 programmes monthly when the centre was first established, to now over 70! Perhaps there is no greater joy than to see new meditators initiated into Shambhavi at the centre come back to volunteer, making this transformation possible for others as well! The seed that was planted over a year ago has started to blossom, but is still a few miles from fruition and reaching its full potential. We have big plans for the centre, for it to become a beacon for spreading tools of transformation across Europe - and we have only just started! The next phase will focus on spreading the word and reaching out beyond the boundaries of our current purview. In this new phase, we are reaching out to you for much needed support. If you can bridge a connection for us to influencers and establishments such as business, hospitals and NGOs or anyone who can spread the voice of Isha further, then please do not hesitate to get in touch! We are dreaming to change the world for the better and need your support to make this dream into a reality. November's activities simply could not be contained within the Isha Yoga Centre! 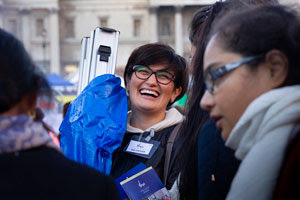 The last few weeks have seen volunteers represent Isha at a number of different locations and events across London. This included a stall at 'Taste of London', a highlight of the city's festive season that welcome's 50,000 visitors through its doors. Settled in amongst boutique artisan products and foods, volunteers were able to discuss and share their experiences of Isha Yoga in a new and exciting environment. November also saw the first Hatha Yoga offering for the British Military! With armed forces and yoga appearing inherently at odds, this was a beautiful opportunity and sharing for members of the armed forces to experience something new. The attendees were cautious at first but by the end of the session all expressed their enjoyment and interest in future sessions. This success means new doors of possibility for future sharings are now open. If you met Santa - what would you wish for? The festive season can be a profound and evocative time. As the weather gets colder and we find ourselves huddled inside for warmth, introspection is natural. Indeed, the cultural rituals of gift giving and the excitement of Santa Claus invite both young and old to inquire into their desires. Whilst many have material and culinary cravings, many also are seeking internal wealth. If peace, joy, or love are on your wish list this season - the programmes at the Isha Yoga Centre are certainly here to help. 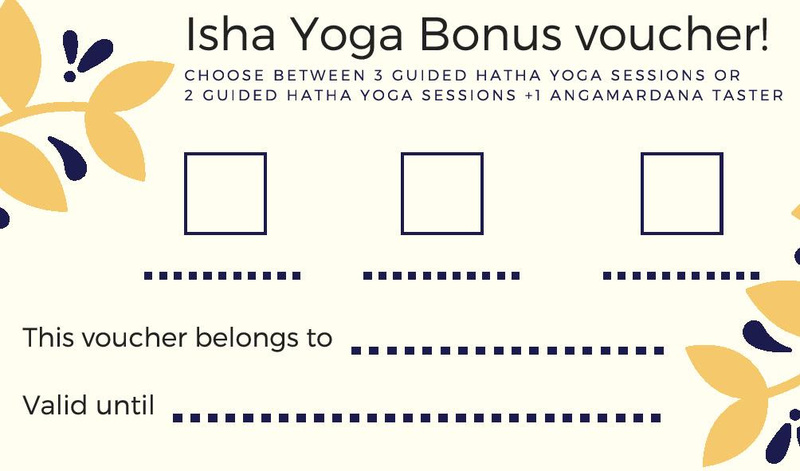 We are very excited to introduce our new '2 for 3' vouchers, an offering that allows either new or experienced meditators to easily taste new practices. We also have our usual gift vouchers available - an excellent and unique opportunity to treat you or a loved one to something profound this Christmas. We warmly invite you to join us at the Isha Yoga Centre London for our New Year's Celebrations! Featuring a special guided mediation, classical Indian dance and a potluck dinner. This promises to be a joyful way to usher in 2019. Register here! The Diabetes Management Program offers a range of tools for wellbeing that empower people with diabetes to manage their condition and bring balance to the whole system. It incorporates a range of holistic yogic practices that focus on physical fitness, strengthening the muscles and joints, increasing the efficiency of the circulatory, respiratory and digestive systems, and promoting mental and emotional stability. The program includes a culinary and dietary workshop which will explore how food nourishes the body and mind and will enable you to prepare meals that are nutritious, nourishing and easily implementable in your day-to-day life. Be tuned for more. Truly a season of reflection. November has allowed us to consider the impact the Isha Yoga Centre has had on both the local community and the wider Isha family. With volunteers travelling across continents to support the centre and a wealth of positive responses from programme participants pouring in, we are overjoyed at the impact that's been achieved so far. The impact has been clearly demonstrated in November's Inner Engineering programmes; with huge numbers of participants with several reaching full capacity. Moreover, the centre is increasingly able to expand the range of programmes on offer; with Aumkar Meditations and Brain Yoga now available every week. Indeed, November saw the largest output of yoga sessions with 24 Hatha Yoga sessions and 19 free offerings - nearly 12 programmes per week! It is truly a blessing for the centre to now be able to offer so many free sessions to the local community, a profound opportunity to give back. This willingness and capability to spread vital tools to new beings brings universal benefits to all involved. As these sessions can only happen with support, we are incredibly grateful for all the donations that make this initiative a reality. If you would be interested in supporting the centre's free sessions, please click the button for our donation page. Experience what it means to be a volunteer!  Interested in volunteering at the centre? Not sure where to start? We warmly invite you to experience the grace of an extended volunteering period by joining us for a week, or two week period. With the vibrant activities at the centre now a constant, there has never been a greater opportunity to offer support for Isha. An extended stay in a consecrated space is also a profound opportunity to deepen your own sadhana and to nurture a state of willingness within yourself. 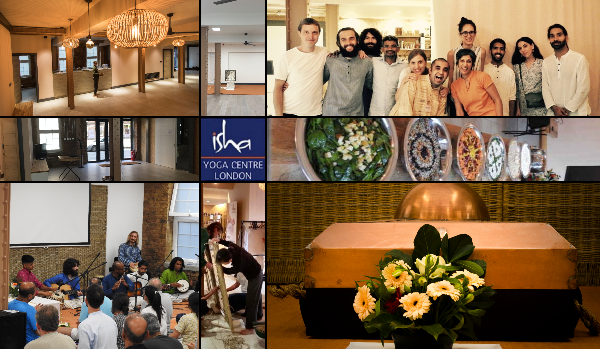 If you're interested in joining our supportive community, please write to us at london@ishafoundation.org. Volunteering has made me transparent to myself. I have learnt that the context my action originates from makes all the difference. Being a volunteer allows me to be aware of the intention in every action that I perform, making me clear of my own limitations and impediments in my growth.